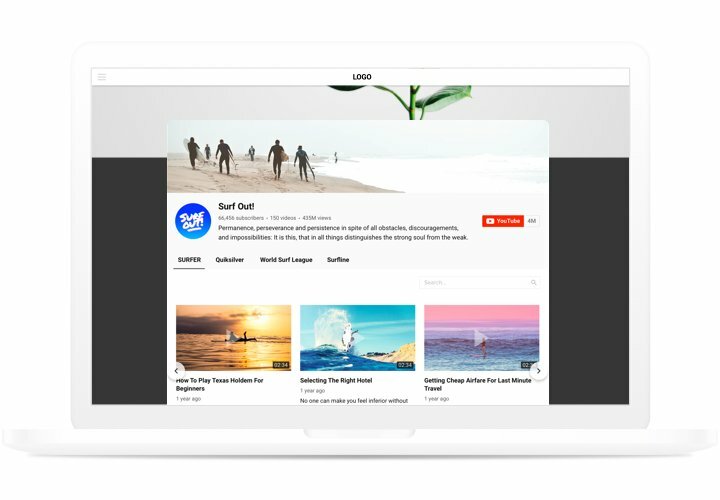 A universal widget for YouTube, which allows adding any video on your website. 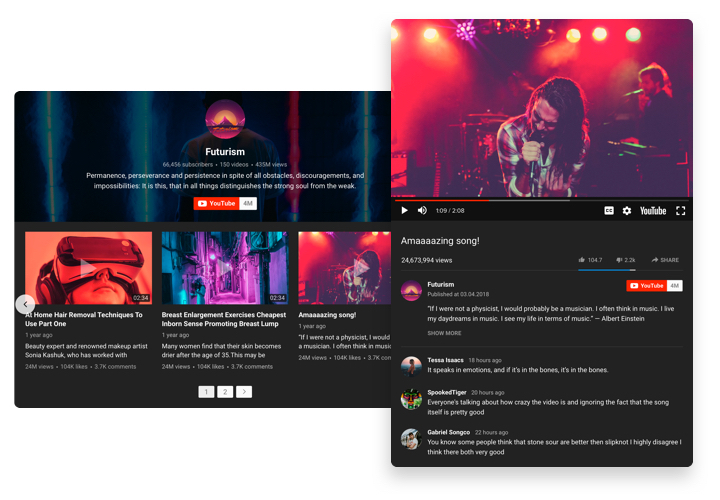 Find the best channels and single videos to assemble your individual playlist and embed it straight on the web page in the layout (video gallery, portfolio, channel, single video). 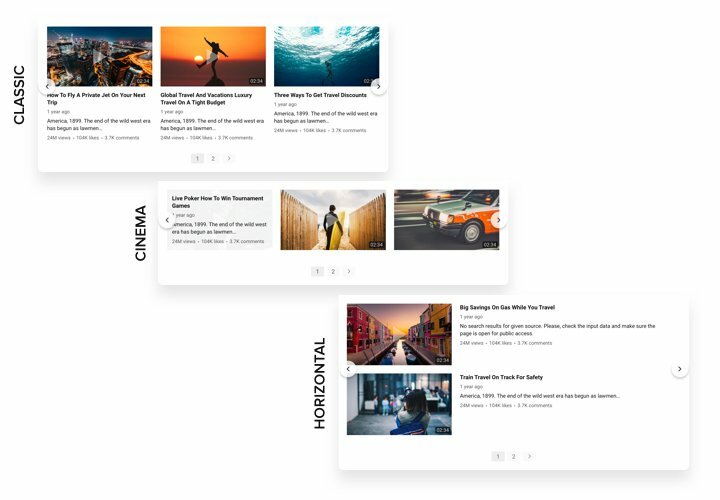 Elfsight widget is perfectly adaptive to all devices and platforms, it includes over 100 settings, customizable template and different qualities, which help to show it on all websites.Create a customized interactive video gallery for stronger engagement of your users. Raise interaction with the readers of your site with the help of YouTube videos. Astonish your website users with engaging video content from YouTube and keep them interested stronger than before. Get maximum purchases with YouTube content. 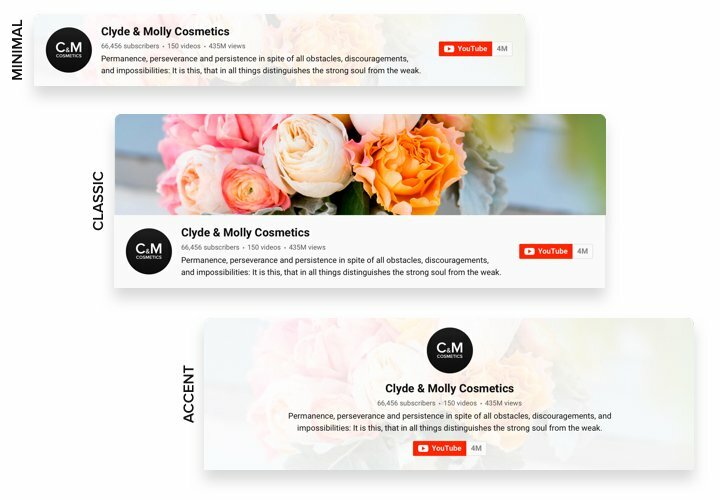 Integrate commercial videos, overviews, tutorials and many more, to give your audience the most convincing info about your offers and help them make a purchase. Get target fans of your YouTube account. 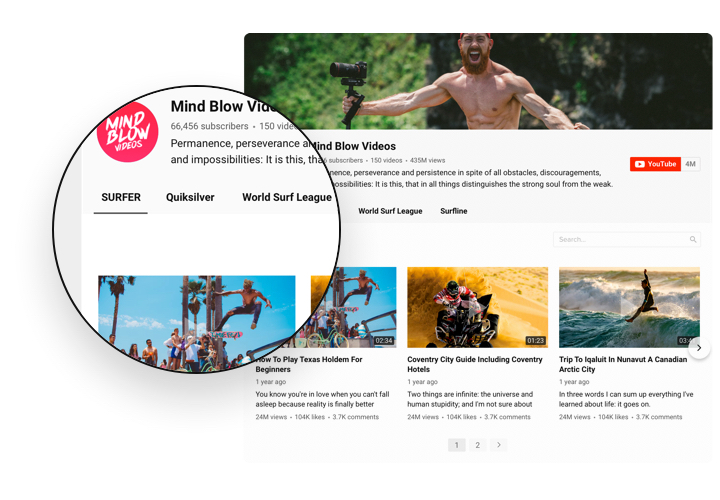 Transform site users into your subscribers on YouTube. 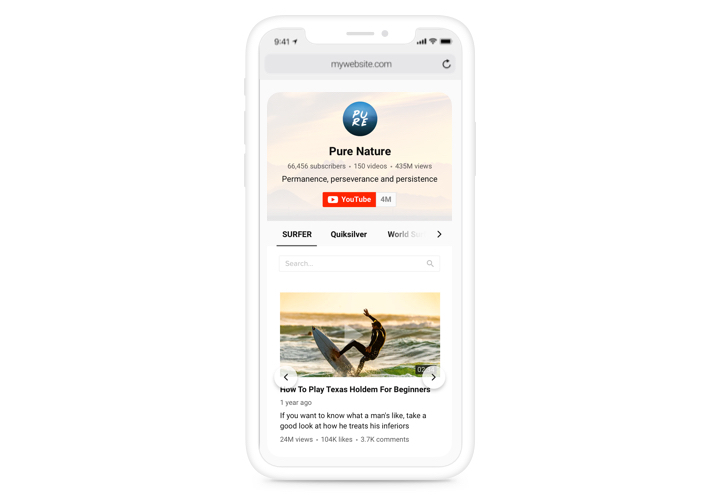 Demonstrate a quick and easy way to watch videos and subscribe to your channel without leaving your website. The most valuable traits of this widget, which make it the best instrument to integrate YouTube videos on a Magento site. A quick tutorial by Elfsight on setup and customizing your widget without knowledge in programming. Total setup time is about 90 seconds. Set up the extension. On Magento marketplace, find the extension page and go to «Add to Cart», to start downloading. Log into your control panel of the site and install the extension. Set the extension. Set necessary parameters of the interface and add information for YouTube Video Gallery. Show the extension on page. Add the extension to the page into the required place and save edits. Done! Visit your Magento website, to view your YouTube Video Gallery! Experiencing any problems with YouTube Gallery during the setup of configuring? Read a detailed article «How to install YouTube on Magento» and try again. Or get in touch with Elfsight customer support, sending a full description of the problem. We are here to provide solutions from 10 a.m. To 7 p.m. CET, Monday to Friday. Shape your Magento YouTube Gallery in just 1 minute!